Learn How to Mind Map with the MindView free trial. MindView lets you instantly create a professional-looking mind map with a few quick clicks of your mouse. Figure 1. Create a mind map agenda. Want to know how to mind map? Simply enter a central topic and then brainstorm sub-ideas to create sub-branches. Once you’ve added all of your ideas and sub-ideas to your mind map, your map’s branches can easily be reorganized by simply dragging and dropping them anywhere on your mind map. It’s just that easy to create a mind map! 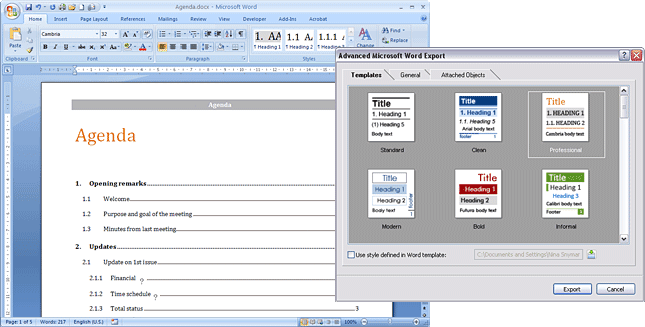 MindView’s interface is based on the Microsoft Office ribbon interface. This intuitive and visual interface helps you find exactly what you need to effectively create mind maps – fast. Know how to mind map? Make your own mind map with MindView. As one of the most effective professional mind mapping software applications, MindView enables you to quickly add notes to any branch of your mind map. Simply open the ribbon’s text editor and click to insert text to elaborate on your ideas. You can even attach files (PDF Excel, Word, video, sound files, picture files and more) and insert hyperlinks on any of your mind map’s branches. There is no limit to the number of files you can attach to any branch of your mind map. You can also add “sticky notes” to your mind map’s branches. MindView makes learning how to mind map more fun and productive! 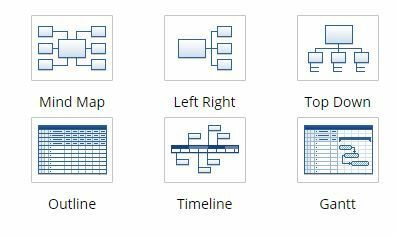 MindView provides 6 different views in which to display your ideas: mind map, top down, left-right, outline, timeline, and Gantt chart. You can work in any mind map view and transfer ideas from one view to another with a simple click of your mouse. 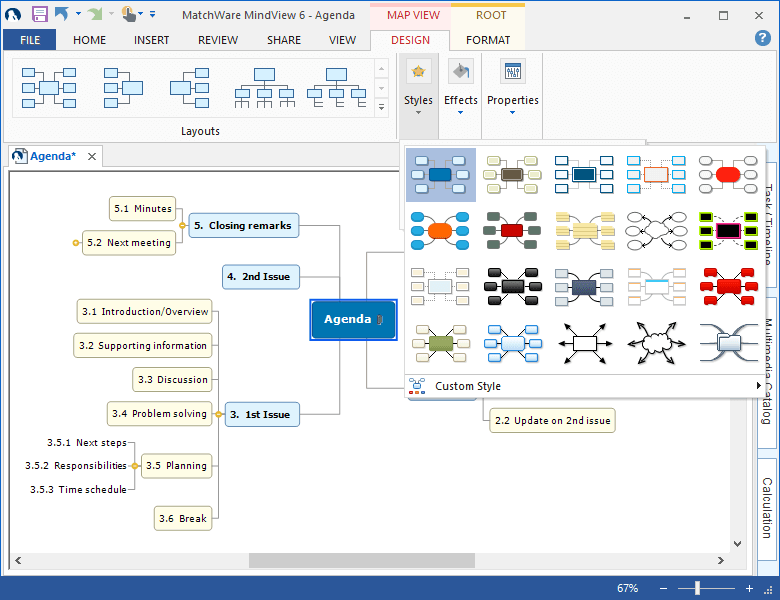 MindView makes it easy to customize your mind map. It offers an impressive selection of predefined map layouts, styles and galleries. Simply hover over the contents of the gallery of your choice to preview the effect of any option on your mind map and then click on your choice to apply it. MindView lets you change the overall appearance of your mind map by applying shapes, colors and other coordinated attributes to your mind map branches in just a few easy steps. Download the MindView trial and learn how to mind map. You can even add visual interest to your mind map by inserting pictures on any branch. MindView supports all standard picture formats, so you can use your own images or add pictures from our multimedia catalog using the easy keyword search. Figure 6. MindView provides a large assortment of icons and clipart. 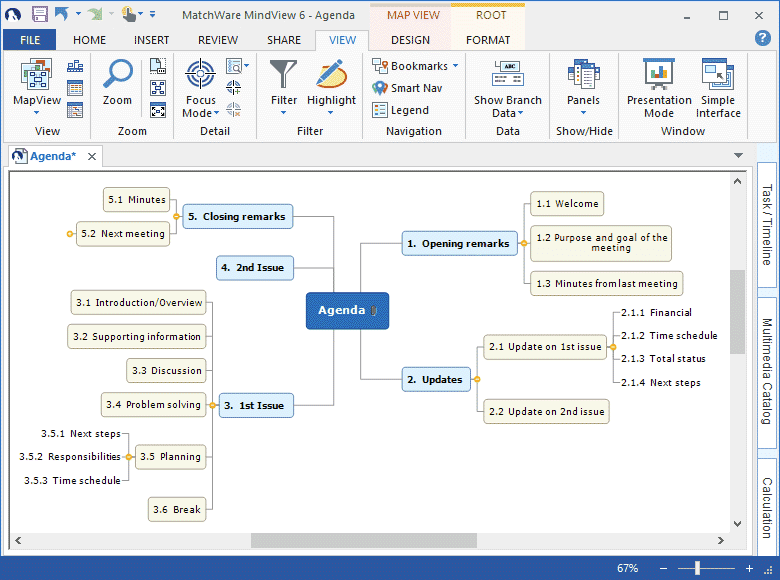 The effectiveness of any mind mapping software depends largely on its integration with MS Office. 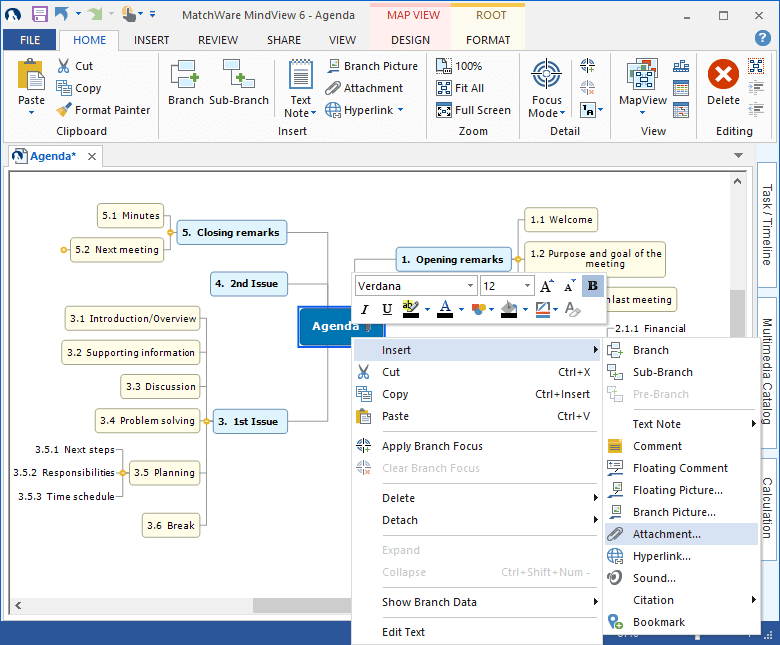 MindView integrates seamlessly with Microsoft Word, PowerPoint, Excel, Outlook and Project, allowing you to instantly convert your mind map to an outline in Word or a presentation in PowerPoint or to export your mind map as a website with a single click of your mouse! Download the MindView Free Trial and Create a Mind Map Today!